Linking up once again with Older Mum’s One Week project – a week every season where we post photographs and blog about our lives and experiences during that one week. Here is something else I will remember this autumn for – juicing! I had a juicer about 10 years ago but only really made apple juice with it. Anyway, I recently fished it out from the back of the cupboard, washed it down and started making some vegetable juices. And as luck would have it, one of the best has turned out to be, if not properly red, then definitely on the red spectrum. 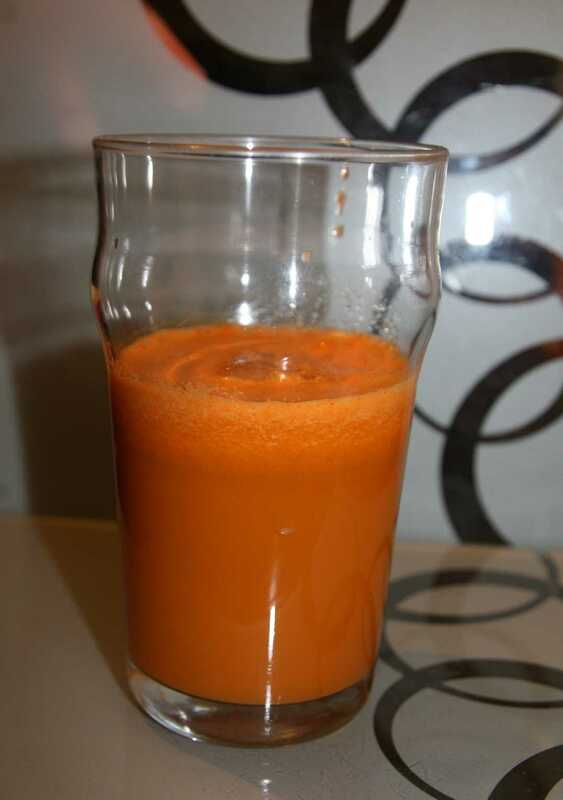 Carrot, celery, cucumber and ginger. Way more delicious than it sounds. Morning Susan! It was my friend who inspired me to get juicing again and the more I read about it the more inspired I am. Yummy! That sounds delicious, and so very healthy – a perfect Autumn tonic! I’m loving your red theme! Thanks OM. I’m discovering so many new things at the moment, most of them red. 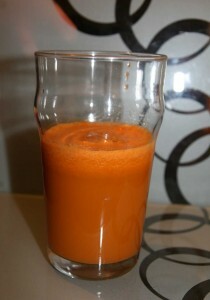 There’s nothing like fresh carrot juice with ginger, I believe you! Or carrot and apple. You’ve inspired me to dig mine out again too! Ooh great, Anya, let me know your favourite recipe. We did Sherbet Lemonade this morning, you would never know there was no sugar in it. Now that looks healthy. I have been juicing recently… and then I broke my arm (not juicing) and have given up. Happy juicing! Glad it wasn’t the juicing that broke your arm Bibsey Mama – although those lemons do kick back a bit, don’t they! Thanks for taking the time to leave a comment. Hope you are on the mend. I feel purified just looking at this drink. It’s a great idea for boosting your immune system at this time of year. Sarah, you are right, we all need all the help we can get at this time of year! Juicing might not be everyone’s cup of tea, so to speak, but the end result tastes so much better than you think it might. 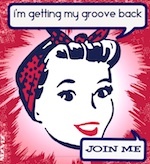 what a great idea…mind you the thought of that drink makes me go a bit wobbly…. You would be amazed, Sarah, at how good it tastes. My husband went straight for the fruit juices, but concedes this vegetable one was actually very tasty. Just had a beetroot, cucumber, celery, apple and carrot juice – sounds yuk, right? It was fabulous, so sweet. Your combo drinks sound good to me. We’ve never had a juicer. Odd, considering we’ve had just about every other kitchen gadget under the sun. Perhaps Santa needs to correct that oversight this year. Ally, I’m now having to find space on the worktop for it as it’s getting used every day. A juicing book I bought recommended throwing out the microwave if space is needed, but I’m not sure I’m ready for that step yet! Mmm.. Very nutritious snack and feel good factor giving the old gadget a go. New gadget now, FTM! Had to go out and buy a better blender – so much less hassle than the old one. I don’t really like smoothies/ juices etc, but funnily enough, today someone else was telling me about a juicing diet she’d been doing and just how healthy the whole thing is, and now I’m wondering if a blend of vegetables and fruit would be more palatable. I must say, your juice does look good. Well worth a try MummyPlum. Some are nicer than others but the beetroot one I had at lunchtime was just gorgeous!